There is a wonderful (free) site, FlightRadar24, that overlays on Google Maps a real-time overview of what planes are in the world’s skies. It even has apps for your phone, so you can point at a place flying overhead and see what flight it is, and where it is going. It is just wonderful, and quite mesmerizing. When you click on a plane’s icon, a panel appears with the flight details, a picture of the plane and sometimes even trivia about the flight in question. If you click on an airport’s icon you can see information about the airport as well as details of incoming and outgoing flights. Below is the view of England from the Midlands south and a part of western Europe at 3.15pm today. Click it to get the full effect. I do not think it counts military flights. Still, it is dizzyingly busy up there! That’s pretty cool, so you may like this site http://www.noradsanta.org/en/. NORAD tracks Santa across the globe! Although I suspect you have better things to do on Christmas Eve. Well, Teresa, after First Vespers and Midnight Mass I might just be tempted to see if I can calculate Santa’s arrival and so, finally, catch him in the act. Sadly, he has avoided me the last few years, which rather suggests I am not a sufficiently good boy. But the link will help! I wish you better luck than me. Thank you for this, Father. It’s fascinating, and I have told my husband about it. In return, you may like this one, which he loves to follow. It shows the progress of all the ships in the world. The things one can find on the internet! Hi Dorothy! Guess what? Your link worked perfectly, so you know more than you think – and now I am hooked. 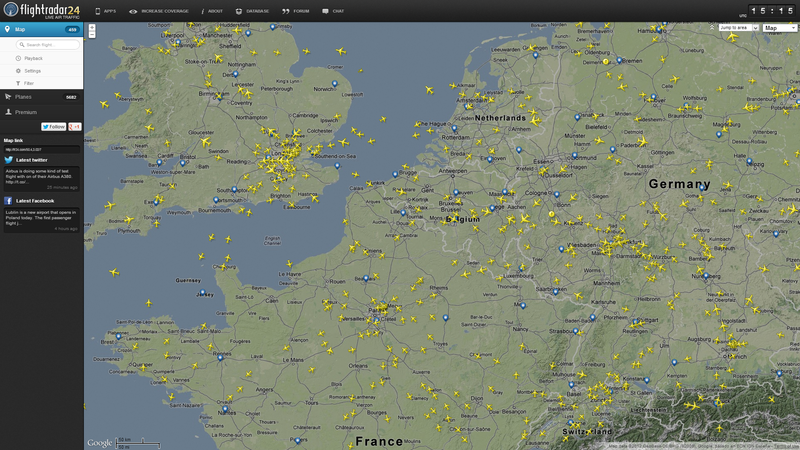 So colourful, so busy around Britain. Wonderful! Thank you, and your husband. A blessed Advent and Christmas to you.